Jurgen Kantner, once dubbed “The Mad German Sailor” and his wife Sabine Merz. The report of two Germans kidnapped in Tawi Tawi, one already murdered by Abu Sayyaf, has turned up their history of living dangerously. Jurgen Kantner and his wife Sabine Merz were both in the news in 2008 and 2009 when they were kidnapped from their sailboat in the pirate infested waters of Somalia. 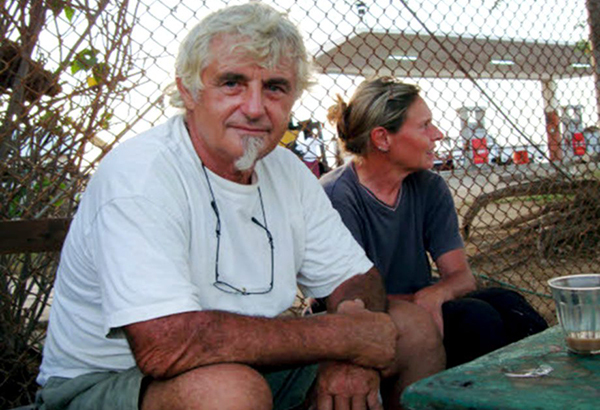 Berbera residents called Kantner “the Mad German Sailor,” because a year after he was kidnapped from his sailboat, he returned to the scene to retrieve his vessel, which was still tied to the same marina between two Somaliland Navy ships. On June 23, 2008, Kantner and his wife Sabine Merz were steering their modest sailboat through Somali waters when armed pirates captured them and brought them ashore to a mountain hideout. After 52-days in captivity and horrific conditions involving mock executions, the pair were rescued after a ransom was paid by unknown officials. 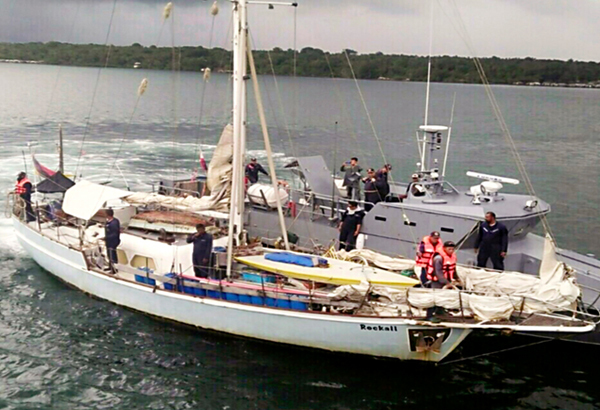 At the time the region was considered one of the most dangerous in the world – today the pirates of Tawi Tawi mimic those of Somalia, only this time around Kantner and Merz made a fatal mistake, this time around Merz was killed after she supposedly pulled a gun on Abu Sayyaf bandits who attempted to kidnap them. Kantner was taking a break for some repair work in the region of Berbera, the main port in Somaliland, when his ‘mad man’ name was given. Jurgen Kantner’s beloved sailing boat. The couple were released in August of 2008 after authorities paid a $600,000 ransom – Kantner never disclosed where the ransom payment came from, to this day no information was ever released on where the large cash payout originated from. At the time Kentner admitted living in his boat over 32-years, had no friends back home and told reporters that the German government despised him being anywhere near Somalia. In the 2009 interview he admitted that sailing off the coast of Somalia was “a little bit like suicide,” though he appears to have sailed the world without issue for the past 7 years, this past week’s kidnapping in Tawi Tawi of the sailing couple has cost the life of another beloved thing of Kentner’s, his wife.